Miller, MLA (1941-1945), MLA (1946-1949), MLA (1950-1953), MLA (1954-1957), MLA (1958-1959), MLA (1959-1962), MLA (1963-1966). Born at Holmfield on 15 July 1898, son of William S. Harrison and Maria Wilkinson, he was educated at Holmfield School. He was employed as Manager of the family-owned Harrison Milling and Grain Company. On 24 November 1937, he married Amelia Agnes Sutherland (1910-? ), daughter of Edward Sutherland and Laura Webb, of Holmfield. They had four children: William Edward Harrison (1938-2007), Heather Ruth Harrison, Errick Harrison, and Tomasina Harrison. 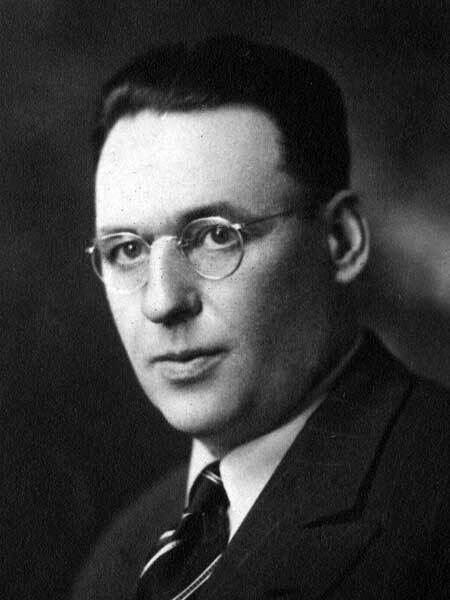 He was first elected to the Manitoba Legislature at a by-election in June 1943, replacing the late John Bell Laughlin. He was re-elected at the general elections in 1945, 1949, 1953, 1958, 1959, and 1962. He served as Speaker (1958-1963) and Minister Without Portfolio (1963-1966). He did not stand for re-election in 1966. He died at his home in Holmfield on 14 November 1979 and was buried in the Holmfield Cemetery. Birth registration [Amelia Agnes Sutherland], Manitoba Vital Statistics. Obituary, Winnipeg Free Press, 15 November 1979, page 71. Obituary [William Edward Harrison], Winnipeg Free Press, 15 December 2007. We thank Jamie Harrison for providing additional information used here.